They have taken the patented stick process and made the application of the Elk Herd In A Bottle easier and more convenient for the hunter. Advantages of the stick are: ease of application, resealable container, no spilling or leaking, will not freeze or break down in temperatures under 100 degrees. 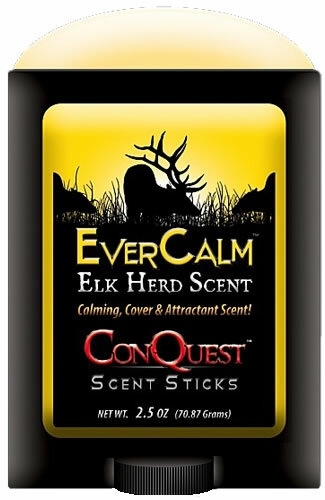 Maybe be applied to all types of surfaces in your hunting area and to hunting boots and clothes which makes this product the STRONGEST elk cover scent on the market today. This is wax based and may leave a wax residue.